We can buy your Mitsubishi car with our easy and straightforward process. Our Mitsubishi experts and customer service advisors are available to help you through the simple sales process. We will buy any model of Mitsubishi car regardless of its age or condition. If I wanted to sell my Mitsubishi, this is the safest and easiest way to get a fair market price for my car. We will send you an instant quote when you enter your car’s details online. We offer immediate payments for all Mitsubishi cars that we buy. Many people looking to buy a Mitsubishi may try to talk the price down below market value. Our friendly experts will offer fair Mitsubishi value for your car. Once you have used our services, you will find yourself recommending us to anyone that wants to sell their Mitsubishi car. 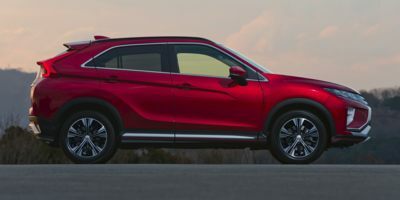 Mitsubishi motor cars produce many cars such as sedans, coupes, convertibles, sports utility vehicles, sports cars, wagons, trucks and crossovers. There are unlimited choices with this carmaker, and the options will appeal to all tastes. Mitsubishi has also recently launched a full line of electric vehicles. The automotive corporation was created in 1970 from one of Japan’s largest industrial companies, though Mitsubishi has been creating cars since 1917. Mitsubishi is a respected car manufacturer with many high-quality, as well as affordable cars on the market. Some of Mitsubishi’s top models include the Mitsubishi Eclipse, Mitsubishi Galant and Mitsubishi Mirage.